The Dutch capital of Amsterdam is already home to more bikes than people. So it makes sense that on June 24 the city will be electing the world's first-ever bicycle mayor, as City Lab reports. 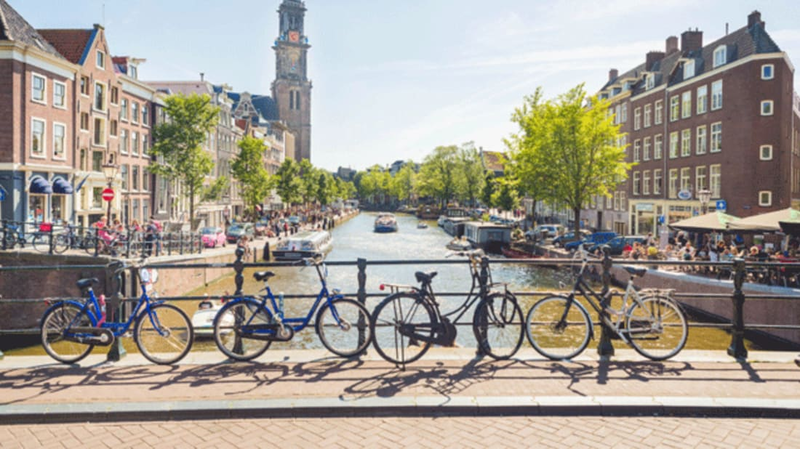 Amsterdam's new chief cyclist will be responsible for promoting and conserving the city's world-class biking culture. Whenever new bicycle-related legislation is passed, it'll be their job to collaborate with community groups, government officials, and the cyclists themselves to ensure the new measures run smoothly. The project is being launched by CycleSpace, a bike advocacy organization based in Amsterdam. After testing the concept out there, where cycling accounts for nearly a third of all city traffic, they plan to take it to less bike-friendly cities around the globe, like Cape Town, Beijing, and Chicago. Those interested in holding the title of world's first bicycle mayor had to submit a brief video by May 1 that conveyed their credentials as well as their passion for cycling. The winning candidate will be decided by an online public vote and a panel of experts that includes transit authorities, representatives from cycling groups, and the city's actual mayor.